Tiger Woods wins 2019 Masters Tournament! Tiger Woods won his fifth Masters Tournament and his first major triumph in 11 years at Augusta National Golf Club. It is the 15th major triumph for Woods and his 81st PGA Tour victory. Birdies at 15 and 16 put Woods out in front at 14 under, and he never relinquished the advantage on his way to his fifth Masters title. He won in Augusta in 1997, 2001, 2002 and 2005. Woods strugged on the front nine, with bogeys at 4 and 5 limiting the impact of birdies at Nos. 3, 7 and 8. Money and fame don't always equal happiness for today's generation of NBA players. Michael Jordan Congratulates LeBron James! PBA Hall of Famer Norm Duke Wins Go Bowling! PBA Jonesboro Open for 40th Career Title. Steph Curry's latest sneaker, co-designed by 9-year-old Riley Morrison, releases on International Women's Day. More than two dozen members of the United States women's national team sued U.S. Soccer in federal court. Congratulations from one brother to the another. 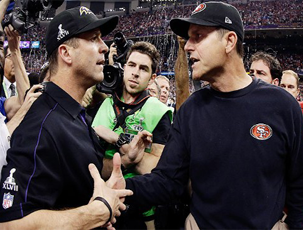 Coaches John & Jim Harbaugh making history together in Superbowl XLVII. 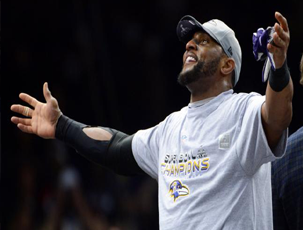 Congratulations to future Hall of Fame linebacker Ray Lewis. 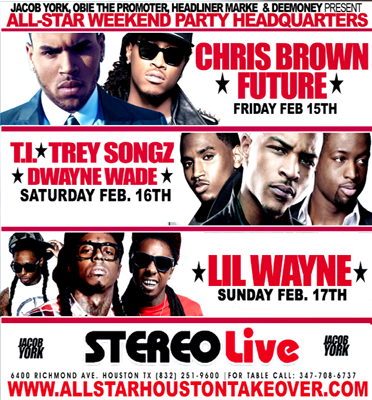 Going out in style in Superbowl XLVII. 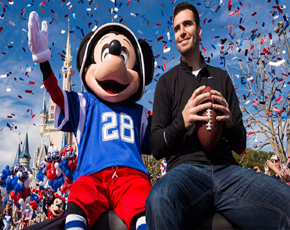 MVP Quarterback Joe Flacco visits Disney World. 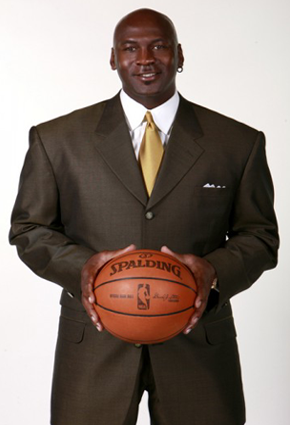 Michael Jordan Celebrates his 50th Birthday! 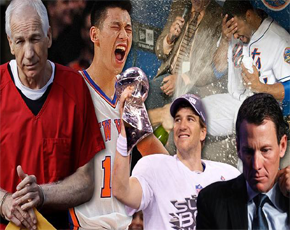 What A Year In Sports!